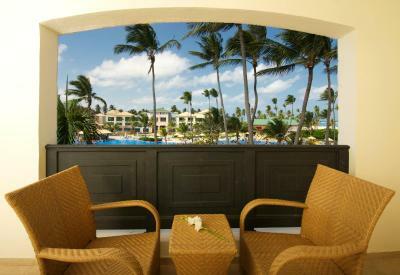 Lock in a great price for Ocean Blue & Sand Beach Resort - All Inclusive - rated 8.2 by recent guests. choices of food was good but most of the hot buffet items were cold - proper heat lamps above food may help. Other restaurants were OK but a bit hit and miss if they were busy. Coffee place has very good expresso. 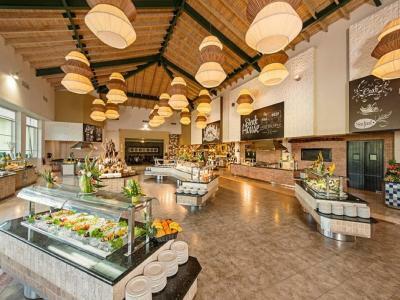 You have options of different type of restaurants so you don't deal with buffet, yet this is an all inclusive and it is all about "QUANTITY" and not "QUALITY". Rooms and bathrooms are old but garden is well maintained. Checking-in TAKES FOR EVER. Some of the staff are friendly, others just work there for the money.. Beach was ok.. Service was good in general. Food and the show's were really good. New year party was very good. 1. The beds, chairs and couches were really comfy. 2. 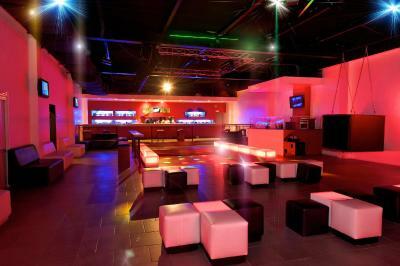 The place was spacious and overall clean. 3. The staff was friendly and their joy was contagious. 4. The food and beverages were good. 5. The setting has a very good atmosphere. 6. The animations, shows and activities were really entertaining (lots of fun). Staff are extremely helpful and courteous. 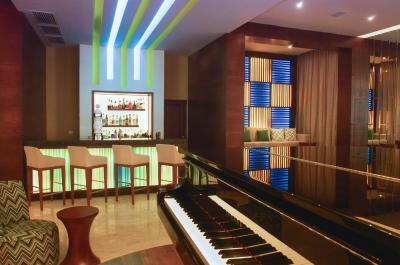 They keep you entertained throughout the day with various activities. The staff was super friendly, the hotel is really big, they have lots of food options, different restaurants, and great buffets. 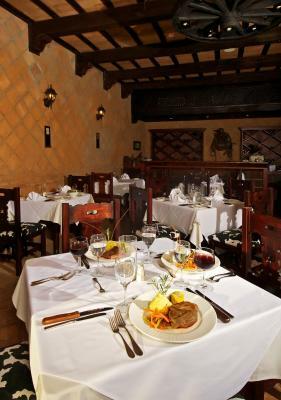 There is a big choice of restaurants. The formula all inclusive is good compared to the relatively low price paid. It is a good holiday if you just say by yourself and relax with the sun and the sea. 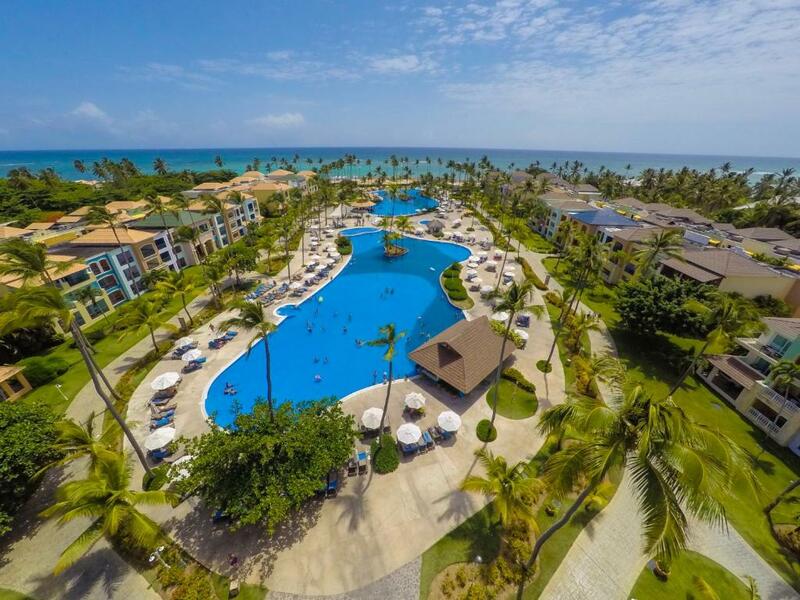 One of our top picks in Punta Cana.Offering a variety of on-site dining options along with a full-service spa and spacious accommodations, this all-inclusive resort is only moments from beautiful beaches and top-rated golf courses. Free Wi-Fi is available at the front desk. 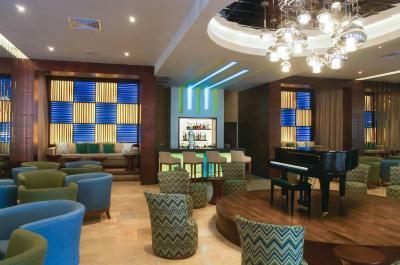 The rooms and suites offer hot tub, laptop safe, flat-screen satellite TV and air conditioning. All come with seating area, minibar and fridge. 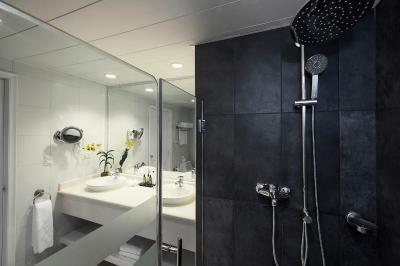 The private bathrooms feature spa bath, toiletries and hairdryer. 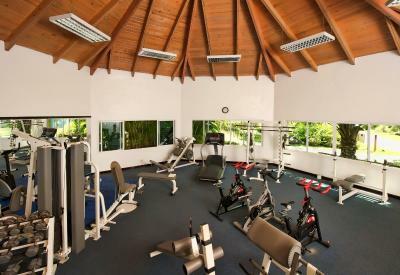 Activities such as rock-climbing wall, an indoor bowling alley, and diving classes are available. Guests can also enjoy the 2 on-site swimming pools. 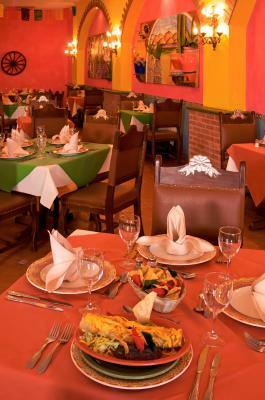 With a large variety of on-site dining options, including American, Caribbean, Italian, and Mexican cuisine there is something for every palate. 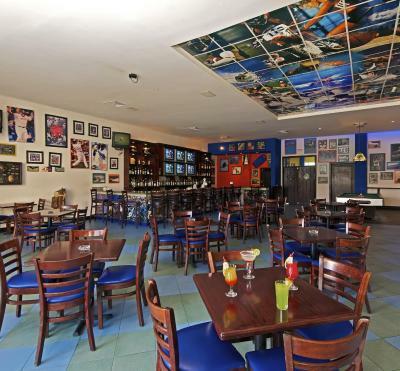 There is also the adults-only Blue Moon restaurant offering gourmet international cuisine. 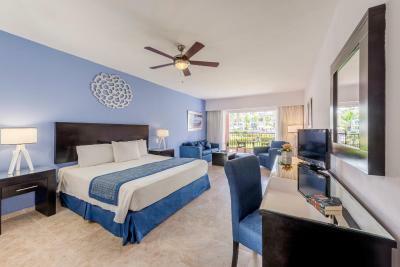 The Ocean Blue & Sand Beach Resort - All Inclusive also features a teen club and access to all the facilities at the neighbouring sister property, Ocean Sand. 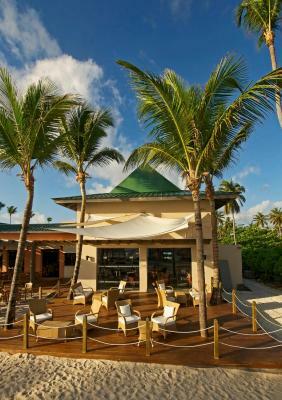 This resort has certifications of responsible and sustainable tourism from Biosphere and Travelife Gold. 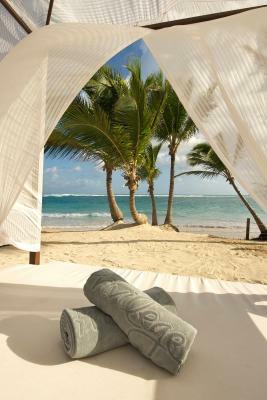 Bavaro is a great choice for travellers interested in sunbathing, excursions and ambience. 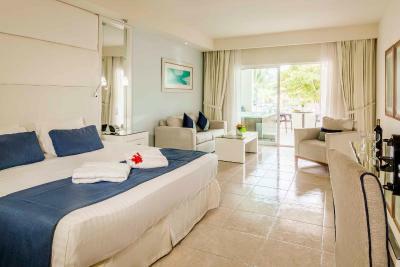 Ocean Blue & Sand Beach Resort - All Inclusive has been welcoming Booking.com guests since 19 Mar 2010. 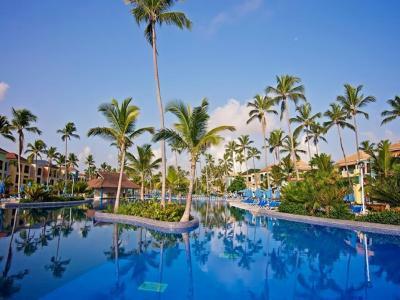 When would you like to stay at Ocean Blue & Sand Beach Resort - All Inclusive? 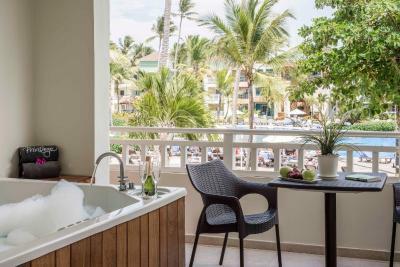 These spacious suites feature a Caribbean-style décor. 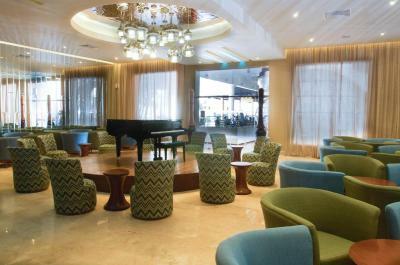 They include a balcony, 1 king-size bed or 2 queen-size beds, and a separate seating area with a sofa bed. The marble bathroom has 2 sinks, a vanity mirror and a hot tub. 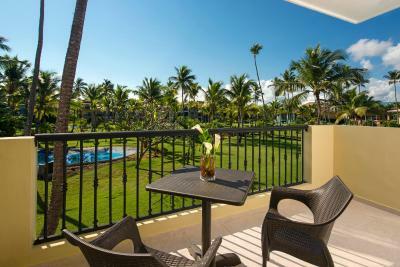 These all-white suites are located near the beach and are distributed over 2 levels. 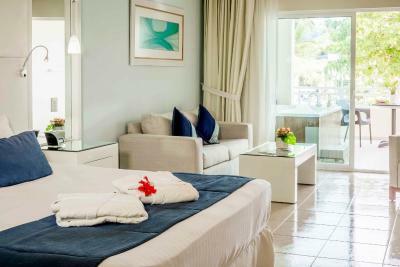 On the first level you will find a king-size 4-poster bed with luxury bed linen and a pillow menu. There is a hot tub and private outdoor shower on the second level. 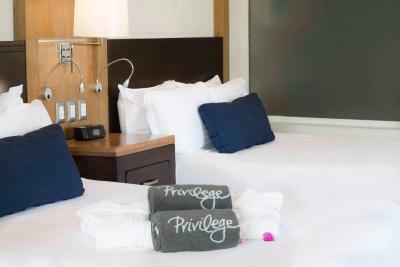 In-room amenities include beach towels and a 32-inch flat-screen TV. 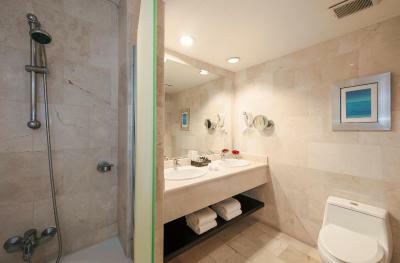 The marble bathroom has 2 sinks, a hot tub and shower, and includes a magnifying mirror, luxury toiletries and scales. 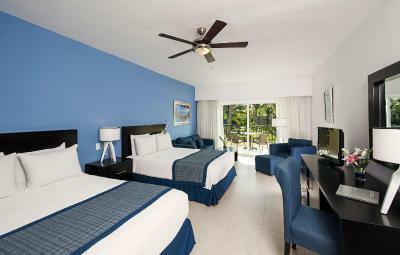 These suites are located near the beach and feature 1 king-size 4-poster bed, or 2 queen-size beds. In-room amenities include a pillow menu, a 32-inch flat-screen TV and a Daysi gift box for the children. The room also includes beach towels. The marble bathroom has 2 sinks, a hot tub and shower. 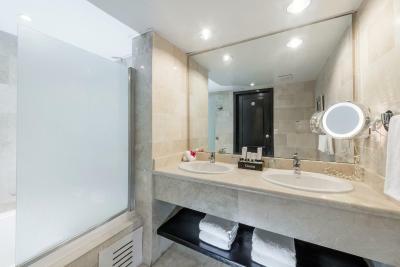 Bathroom amenities include a magnifying mirror, luxury toiletries and scales. 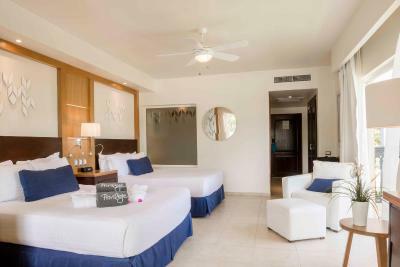 This air-conditioned suite features excellent pool views, a flat-screen TV and an iPod-ready alarm clock. Guests also have ironing facilities, a minibar and a private bathroom with a shower and toilet available. Beach towels are also provided. 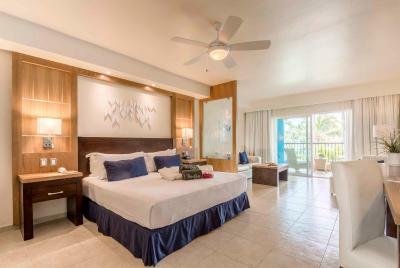 This air-conditioned suite features excellent pool views, as well as personalized check-in/check-out, exclusive concierge services and access to the beach-side lounge. 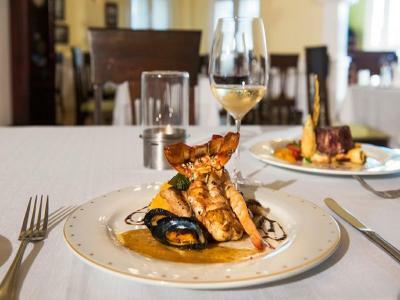 Guests also enjoy preferential access to the hotel's restaurant and a special beach area. The room comes with a flat-screen TV and an iPod-ready alarm clock. Guests also have ironing facilities, a minibar and a private bathroom with a shower and toilet available. Beach towels are also provided. 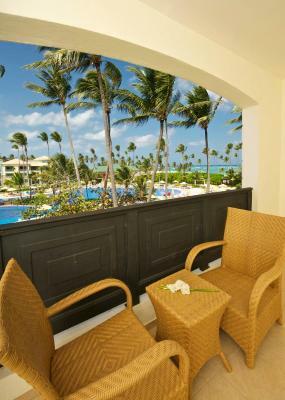 This single room features a balcony, seating area and tile/marble floor. This suite has a balcony, hot tub and minibar. This suite features a balcony, minibar and hot tub. 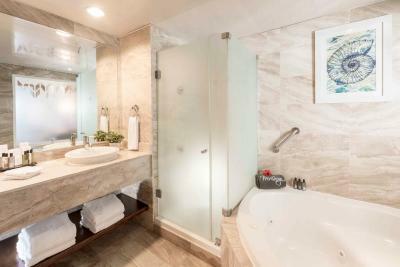 This suite features a balcony, minibar and spa bath. This suite features a balcony, satellite TV and minibar. This suite features a balcony, hot tub and spa bath. Property surroundings – This neighbourhood is a great choice for travellers interested in sunbathing, excursions and ambience – Check location Great location - show map Guests loved walking around the neighbourhood! 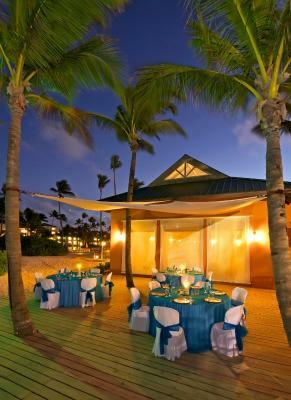 House rules Ocean Blue & Sand Beach Resort - All Inclusive takes special requests - add in the next step! 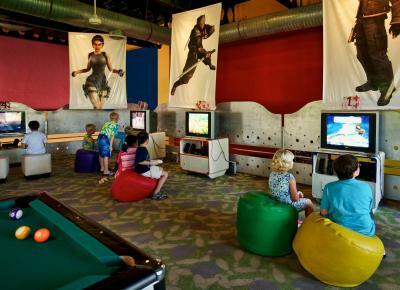 All children from 3 to 11 years are charged 50 % of the room stay per night per person for extra beds. Ocean Blue &amp; Sand Beach Resort - All Inclusive accepts these cards and reserves the right to temporarily hold an amount prior to arrival. Ocean Blue & Sand Beach Resort - All Inclusive accepts these cards and reserves the right to temporarily hold an amount prior to arrival. Please note that from February 15 to April 30, all guests under the age of 23 must be accompanied in the same room by an adult at least 30 years-old.